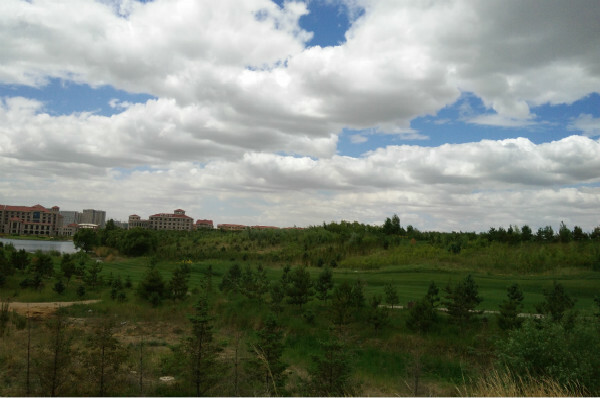 Baotou Olympic Park is located to the south of Jianshe Road, Jiuyuan district, Baotou. It is a modern comprehensive sports stadium owned by Baotou municipal government and was used to host the 11th National High School Student Games. It covers an area of 400,000 square meters and has a total construction area of 80,000 sq m.
The Olympic Park boasts a sports zone which measures 2.447 million sq m. The park’s greenery covers an area of 1.84 million sq m.
Construction work on Olympic Park started in 2014 and was completed on Aug 29, 2015.